A cool new sensor, some revisions, and other great stuff. Check out what's new. Welcome back to another thrilling installment of 'what's new this week' here at SparkFun Electronics. We just have a few things this week, but they're all amazing of course. We even have a few demos in the video. Check it out. The future is here. The gesture sense board is really rad and packs quite a punch for such a small device. I'm really curious to see what people can do with it. 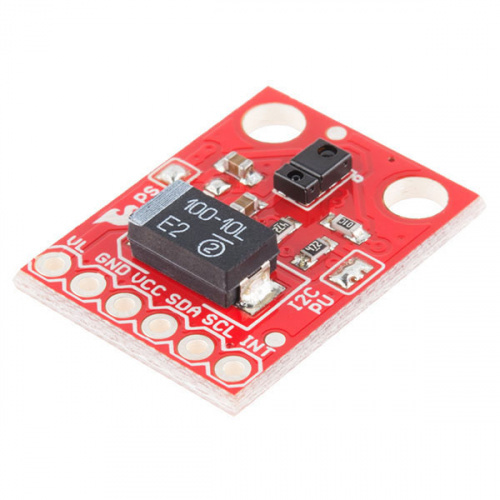 The SparkFun RGB and Gesture Sensor is a pretty versatile board. Not only can you use it to detect ambient light and RGB levels, but it can also be used to detect gestures. By swiping your hand over a sensor, you can control a computer, microcontroller, robot, etc. One manufacturer has even created a touchless toilet that flushes when you move your hand over the tank. This is a 7" LVDS LCD Cape for the pcDuino V3 with a 1024x600 screen resolution and capacitive touch from LinkSprite. This massive screen is a great addition for the pcDuino3 that compliments its extreme versatility as a mini PC development platform. 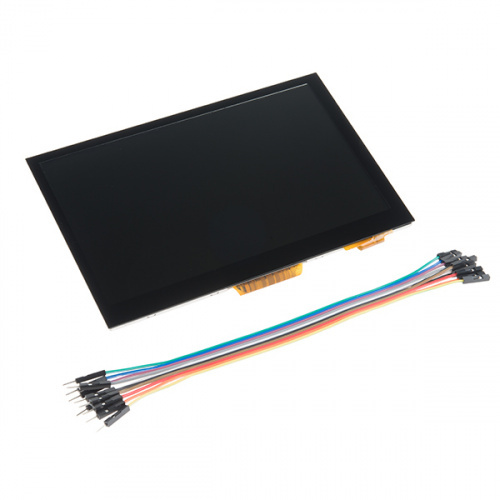 This LVDS LCD removes the necessity of a bulky full sized monitor to operate the pcDuino by attaching to individual I2C pins on the dev board. With Circuit Scribe you can draw exactly what you want, no wires or breadboard required. You can build a circuit with nothing but a coin battery, paper clip, and LED, or build out complex circuits with multiple components. The conductive ink pen included in this kit uses a non toxic, silver conductive ink that writes on any surface a regular roller ball pen. 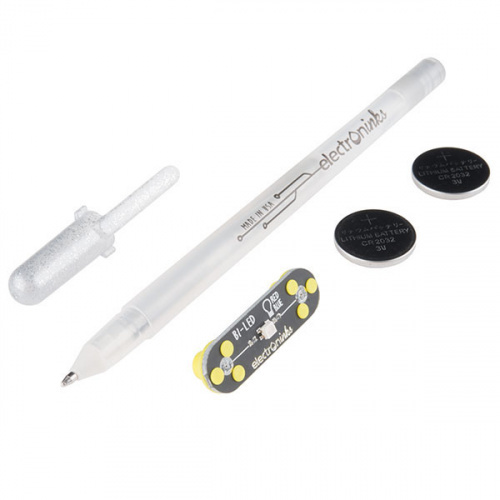 The kit includes the conductive ink pen, LED module, and a couple of coin cell batteries. 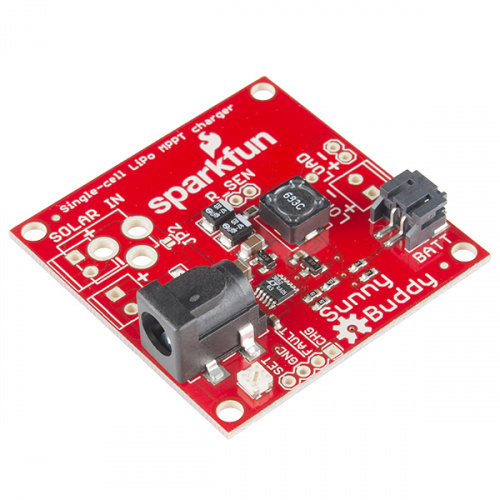 This week we have a revision of the SparkFun Sunny Buddy solar charger board. This MPPT solar charger provide you with the ability to get the most possible power out of your solar panel or other photovoltaic device and into a rechargeable LiPo battery. Set-up is easy as well, just plug your solar panel into one side of the Sunny Buddy and your battery into the other and you are good to start charging! You don’t have the power? 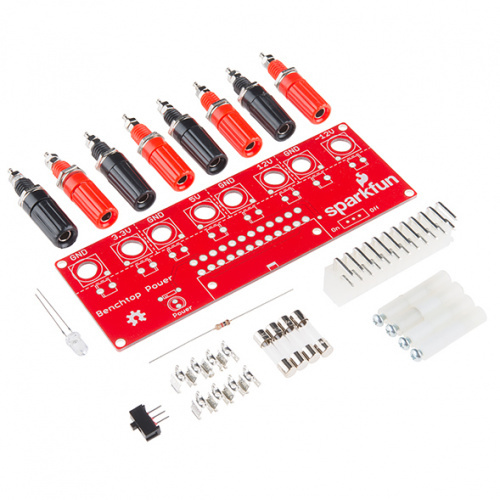 Well, there’s no need to ask Scotty – the SparkFun Benchtop Power Board Kit has your back. This board will let you take advantage of your power supply to create a benchtop power supply with enough juice to run almost any of your embedded electronics projects. This new version adds some customer-suggested features like a power switch, as well as taller standoffs. That's it for this week. Just a quick FYI for everyone, I will be out of town for the next month or so on vacation, so you won't be seeing me for awhile. Enjoy the videos and posts with Chris and Nick in the upcoming weeks. So how long 'til someone makes a Theremin out of the gesture sensor? "[...] silver conductive ink that writes on any surface a regular roller ball pen." Maybe you meant "[...] surface a regular roller ball pen can?" Set-up is not hard also, simply select your current solar panel straight into 1 facet on the Sun-drenched Close friend plus your battery in the other and you usually are good to get started on getting! Nice job, folks! Cool little breakout board!